The legendary founder of the Farnese is considered to be a Ranuccio (Ranuccio il Vecchio), lived in 1200, but the most successful members of the family have name Alessandro. Alessandro was the name of the Pope Paul III, ally and contender of the Emperor Charles V, the first who brought the family to an “international” role. Alessandro was the name of his grandson, the cardinal who tried to receive the endowment of his grandfather. Again, Alessandro was the name of the Duke of Parma and Piacenza who, in the service of Philip II, quelled the riots in the Flanders. Another Alessandro, famous for his obesity and his large spending more than for his military enterprises, in the mid XVII century, when the glories of the family had considerably reduced, succeeded at the Spanish court and obtained the rule of the Flanders, but he had to run away soon chased by the creditors. Anyway, no matter what their name were, the successors of the Pope Paul III and the Duke Alessandro were never able to repeat the gestures of their predecessors. The last member of the family, Elisabetta, married Philip V and became the Queen of Spain, unfortunately when this nation was definitely out by the group of the Great Powers in Europe. After her, the male line of the family being extinct, the Duchy of Parma and Piacenza, acquired in 1545 thanks to the unscrupulous greed of Paul III, passed to the Bourbon. 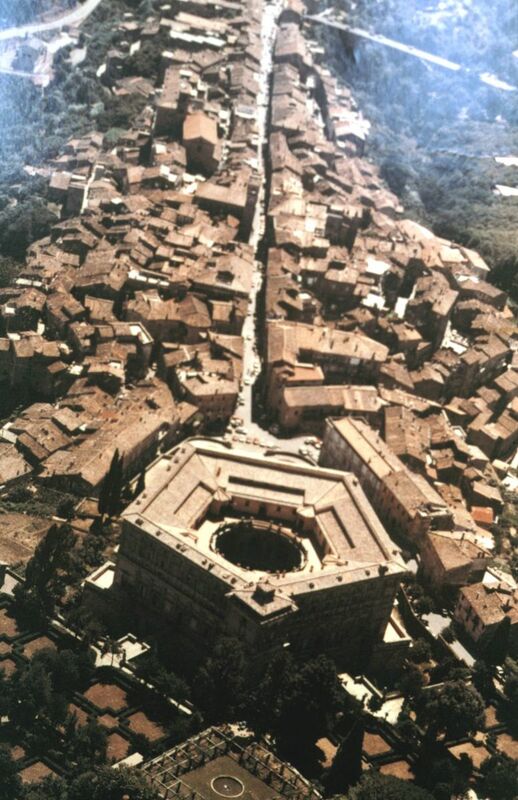 What we know, the origins of the Farnese are in central Italy, where they owned some castles. They were warriors, serving the Pope and the feudal lords of the area. It is said that it was uncommon for a Farnese to die in his bed: they were used to fall in battle. Despite of this, the origin of their fortune is not a warrior, but a woman, famous for her great beauty: Giulia Farnese. This girl became the lover of the Pope Alexander VI (Rodrigo Borgia) and favoured the appointment to cardinal of his brother Alessandro. Since then, the very clever and very greed Alessandro did not stop to operate in favour of himself and his family. Alessandro became Pope in 1534, with the name of Paul III. 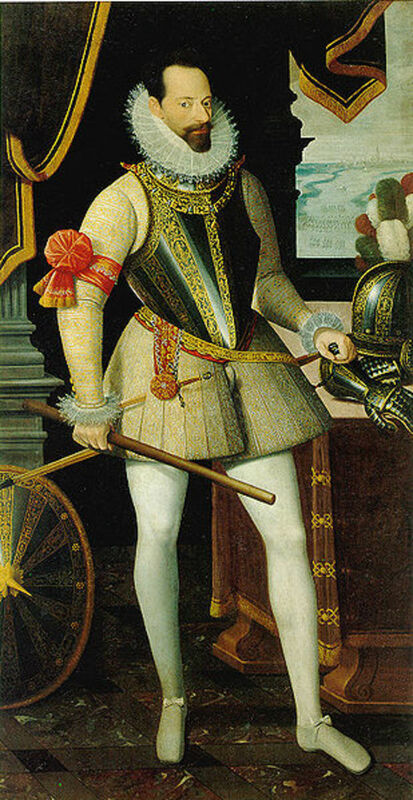 He laid the foundation for the greatness of the family: he established the two Duchies of Castro (1538) and Parma and Piacenza (1545) and the alliance, artfully managed, with Charles V of Spain, sealed by the marriage between his grandson Ottavio and the natural daughter of Charles V, Margaret of Austria. 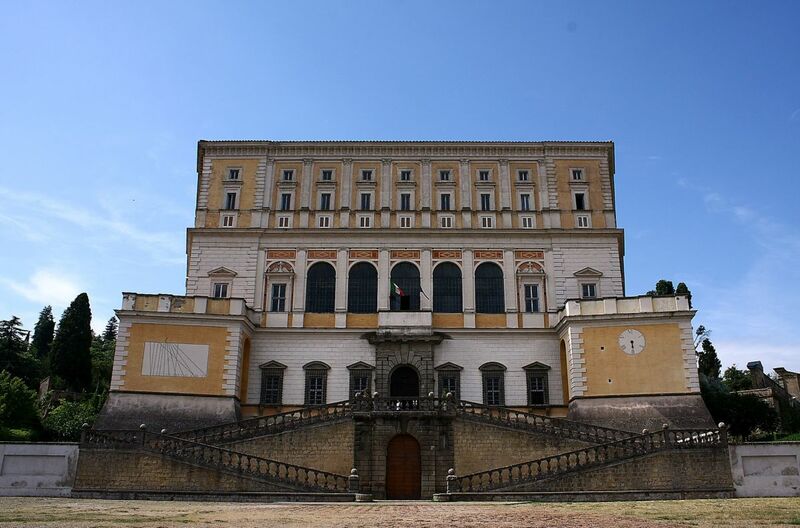 The Farnese celebrated the years of their ascent by building the palaces needed to represent the high role they had attained and to organize the management of their Duchies. The name Palazzo Farnese may refer to the palaces of Rome, Piacenza and Caprarola and to the other ones they built in the Duchy of Castro. 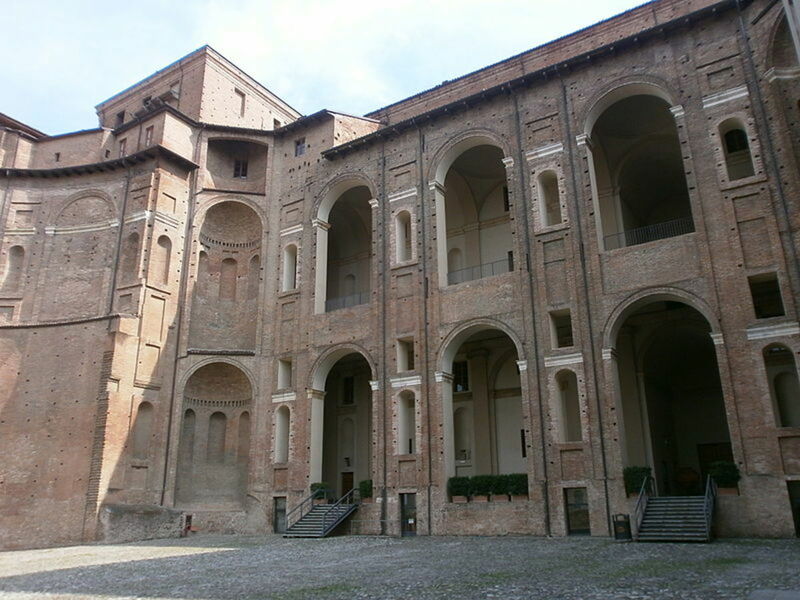 The large complex built in Parma between the XVI and XVII century is known as Palazzo della Pilotta. 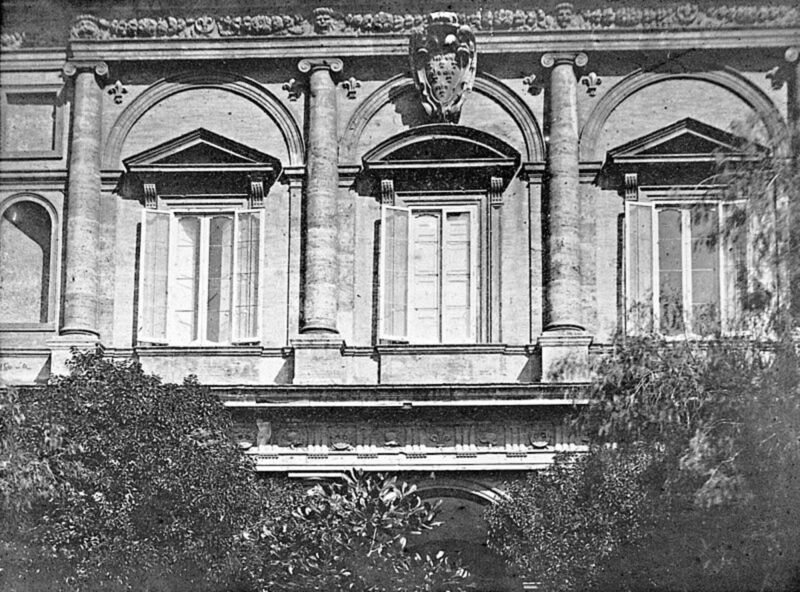 The Palazzo Farnese, in Rome, was initiated by Alessandro when he was still a cardinal and terminated by his grandchildren eighty years later. 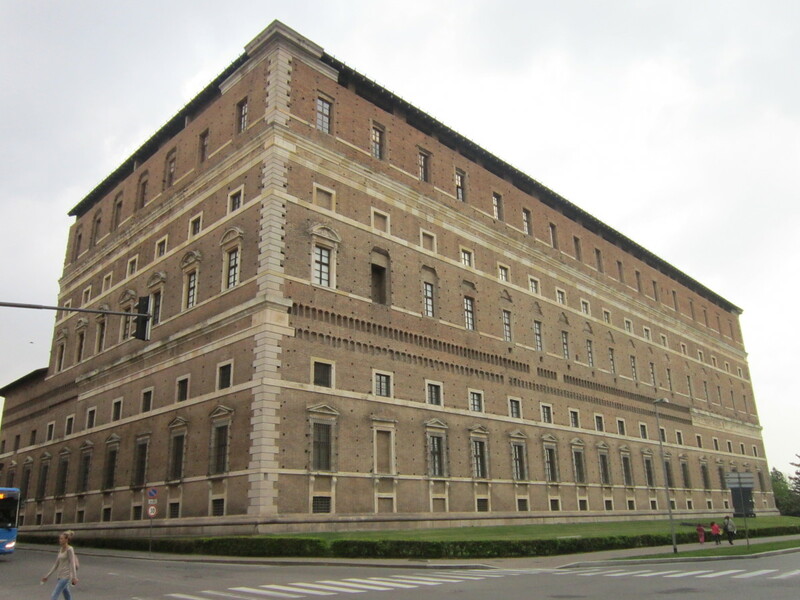 Destined to the sons of the Pope, Ranuccio and Pier Luigi, it had to be the impressive home of the pontiff. 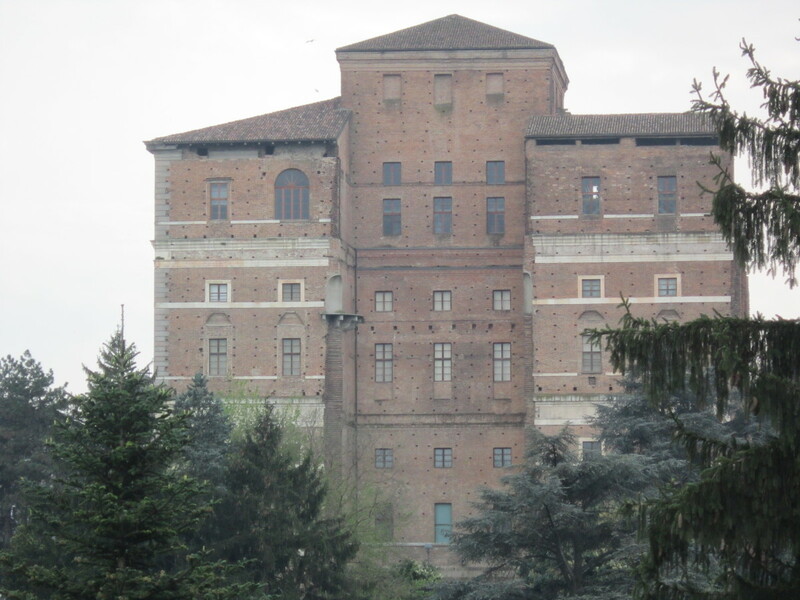 The cardinal Alessandro the Younger, grandson of Paul III, chose the castle of Caprarola as his country home and charged the architect Vignola for the transformation works in 1559. The palace in Piacenza, unfinished, had to be the residence of Margaret. Her husband Ottavio took home in Parma, instead, where he built the first nucleus of the so called Palazzo della Pilotta around 1580, later expanded in an enormous complex by his son Ranuccio. In the XVII century, the fortunes of the Farnese were declining, so they concentrated on the site of Parma and abandoned the palaces of Rome and Caprarola, now too far from their small Duchy and too expensive to manage. 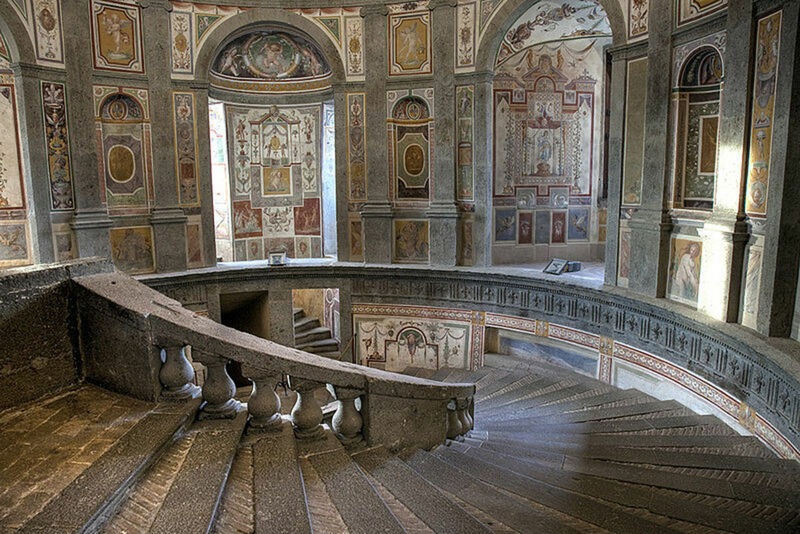 These majestic palaces are the evidence of a period lasted nearly a century when a family of the small aristocracy in Central Italy arrived to play an important role in Europe. There are no doubts that the Palazzo Farnese (seat of the French embassy since 1874) is one of the most beautiful palaces in Rome. The same architects who had followed one another in the project of the cathedral of St. Peter (Antonio da Sangallo and Michelangelo) worked to it. Furthermore, it contains a masterpiece as the so called Gallery of the Carracci, featuring frescoes on the ceiling which may somewhat recall the magnificence of the ceiling in the Sistine Chapel. Rome is the city where Alessandro Farnese the Elder had ascended the papal throne and where his homonymous grandson aspired to repeat his enterprises. The palace had to be the concrete representation of the power attained by the family. The superb art collection it contained was famous in the whole Europe. 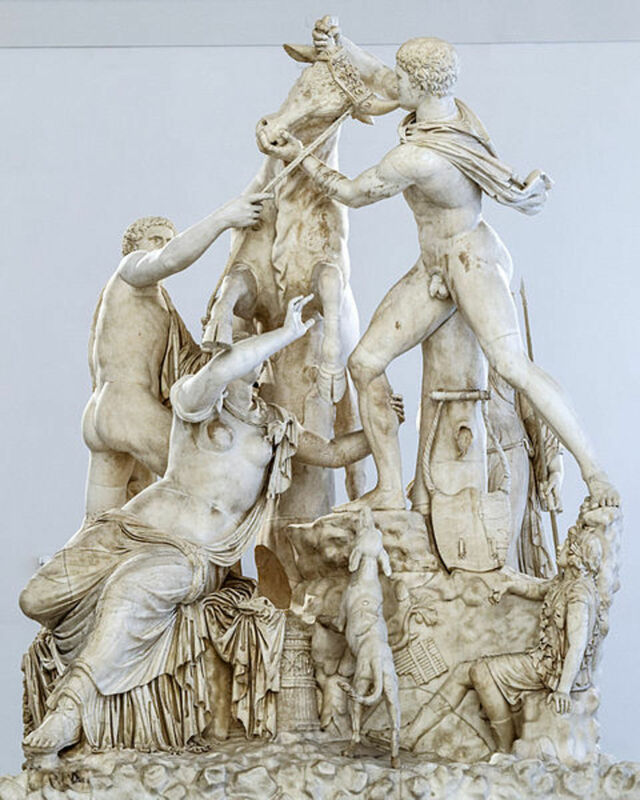 It included the Roman sculptures found in the excavations ordered by Paul III (the Farnese Bull, the Farnese Hercules and several others), the paintings commissioned to Titian (the Danae, the portraits of Paul III), the works (among them a carton by Michelangelo) inherited by Odoardo, son of the Duke Alessandro, from his former preceptor, the antiquarian Fulvio Orsini. Again, several pieces coming from the Medici’s heritage entered the collection through the marriage between Margaret of Austria (former wife of Alessandro de’ Medici) and Ottavio Farnese (e.g. the famous Farnese Cup). This wide collection was mostly moved to the Palace of the Pilotta in Parma, when this city became the main seat of the family. It was later inherited by Charles of Bourbon, son of Elisabetta, the last of the Farnese, and Philip V of Spain. Charles of Bourbon, become King of Naples, built a new royal palace in Capodimonte (nowadays a museum) and transferred the pieces of the Farnese’s collection there. The history of the most ancient Palazzo Farnese dates back to 1495, when Alessandro Farnese the Elder bought a palace named Ferriz, probably for the reason that it was located in front of the land he owned on the opposite bank of the river Tiber. He progressively enlarged his possessions in the zone, buying other parcels of land around the building. In 1513 he appointed Antonio da Sangallo, pupil of Bramante, for the project of a new palace. In the mind of Alessandro, this new palace had to host the apartments of his two sons Ranuccio and Pier Luigi. 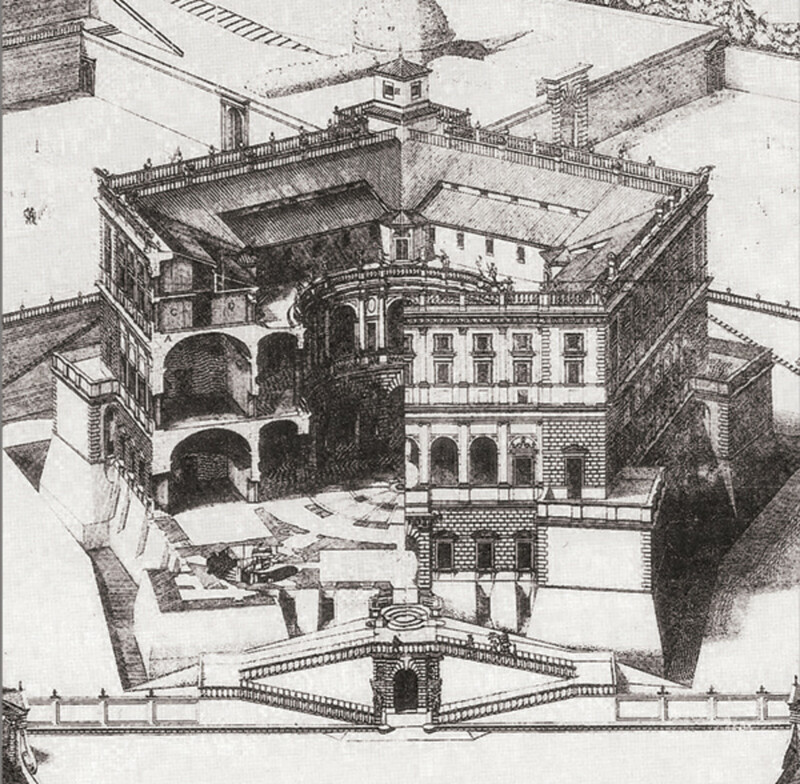 Sangallo inspired to the models of the Florentine palaces (already used for other Roman palaces such as the Cancelleria and Palazzo Venezia) and conceived a cubic block developed around a central court, in the way of Palazzo Pitti. For the decoration of the courtyard he thought to the Coliseum, designing three layers of different orders (Doric, Ionic and Corinthian). For the front of the palace, Sangallo limited the heavy ashlar used in Palazzo Pitti to the corners of the palace and to the portal. He also eliminated any sort of orders: only semi-columns frame the windows. The result is a sober and powerful façade that recall the canons of classic antiquity. Probably Alessandro inhabited the palace while the works were continuing in small steps. 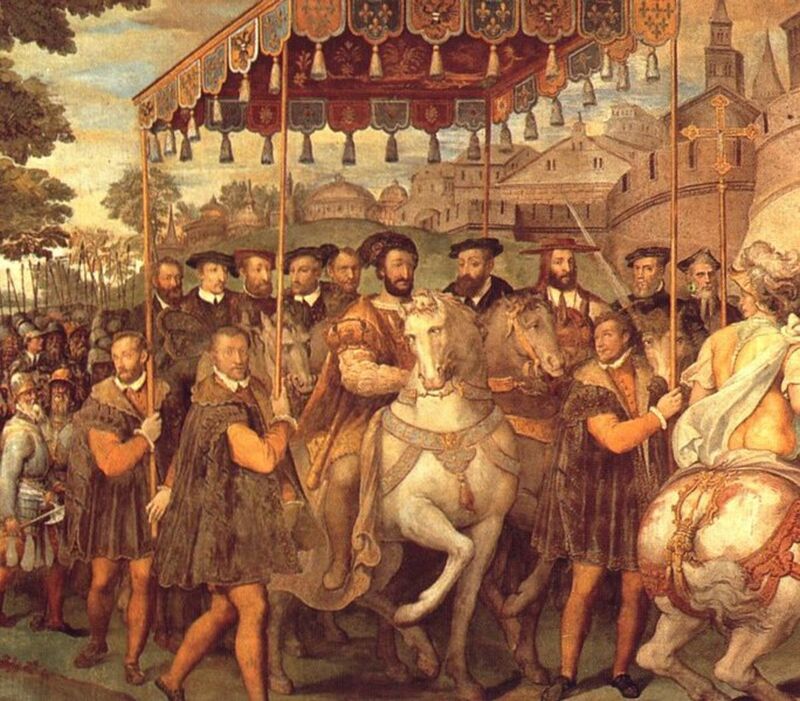 They were stopped in 1527 when Rome was set on fire by the Lansquenets of Charles V and resumed only in 1541. Meanwhile, Alessandro had become Pope Paul III and could dispose much more consistent resources. Sangallo died in 1546. The septuagenarian Michelangelo was called to continue the works, as it had happened with the cathedral of St. Peter. Really, he had won a contest organized by the Pope before the death of Sangallo. Michelangelo could make only a few modifications to the façade, since the works were too much advanced. 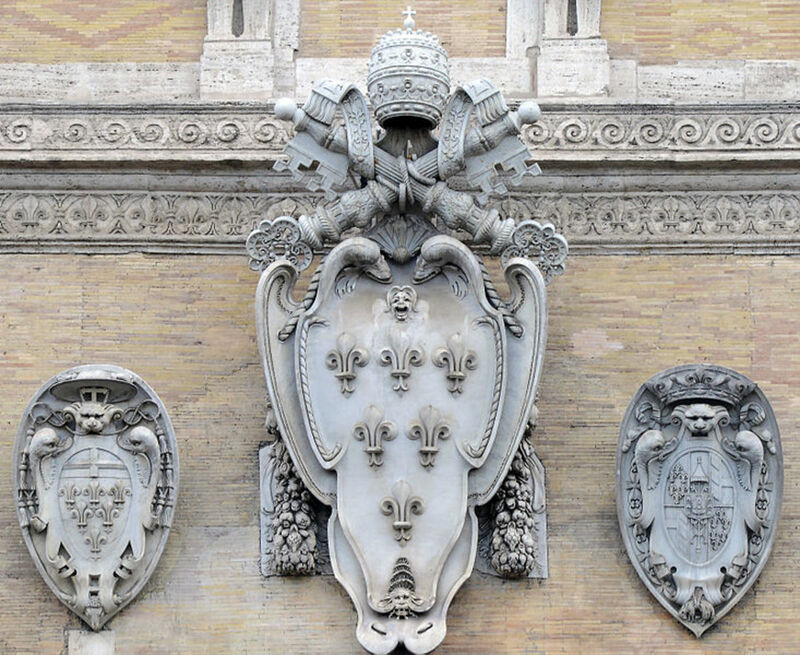 The signs of his intervention are the majestic top frame and the form of the central window, where he destroyed the arch of the Sangallo to insert a big shield with the arms of the Pope. 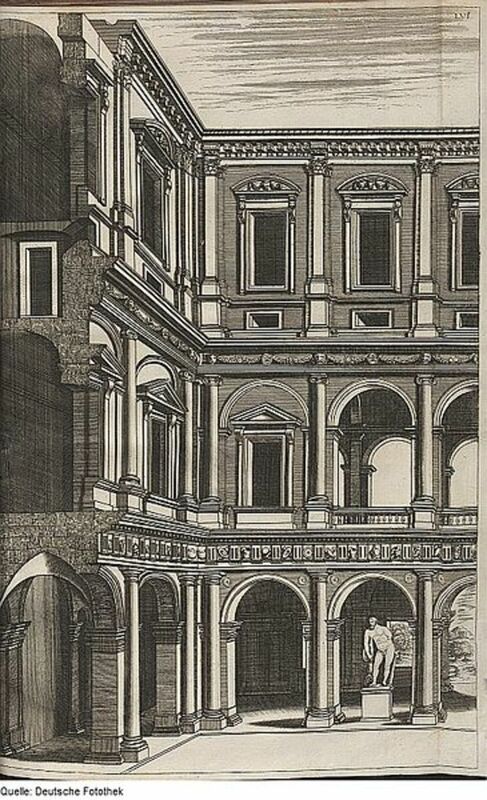 For the internal part, he had projected a spectacular perspective joining the courtyard to the Farnese’s gardens on the opposite bank of the river, through a new bridge to be built. But the death of Paul III in 1549 interrupted the works once again and limited the available funds. The cardinal Ranuccio Farnese resumed the works, appointing the family architect Jacopo Vignola. Ranuccio inhabited the palace until his death in 1565. After a new interruption, the cardinal Alessandro the Younger, brother to Ranuccio, finally completed the construction in 1589, the year of his death. Four architects (Sangallo, Michelangelo, Vignola, Della Porta) and three Farnese had succeeded over a period of eighty years to achieve the completion of this ambitious building. 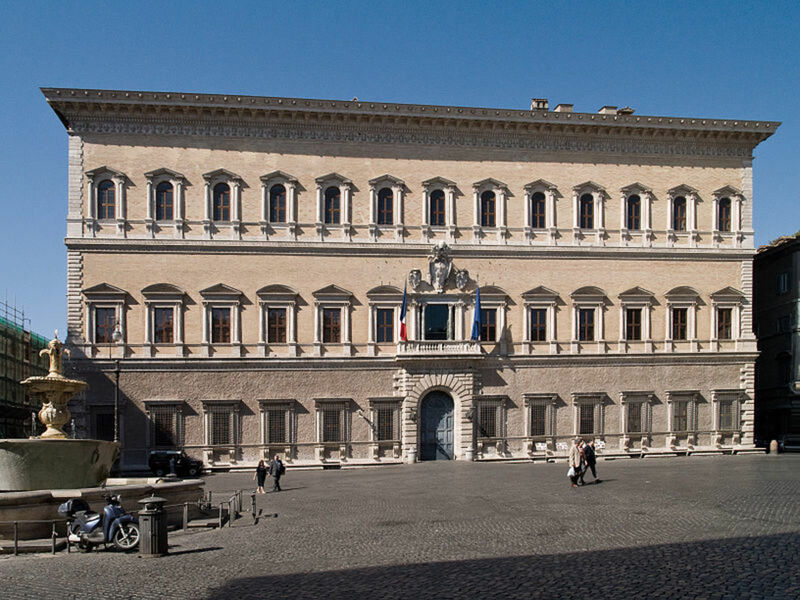 The Farnese inhabited continuously the palace until the first half of XVII century, when, exhausted the flow of the cardinals, they moved the centre of their interests to Parma and destined the palace to the ambassadors of the Duchy. Also the important decoration of the interior, as the building of the palace, was carried on for long-time and executed by several different hands, between 1547 and 1604. The decoration began with the frescoes in the first floor room in the north corner of the façade. These frescoes were commissioned to Daniele da Volterra, probably by the cardinal Alessandro around the year 1547. The subject is the wine and the grapes: it somewhat anticipates the gorgeous paintings by the Carracci on the gallery’s ceiling. Subsequently, it was decorated the central salon at the first floor (i.e. the room corresponding to the terrace of the façade) called “salotto dipinto” (painted salon). 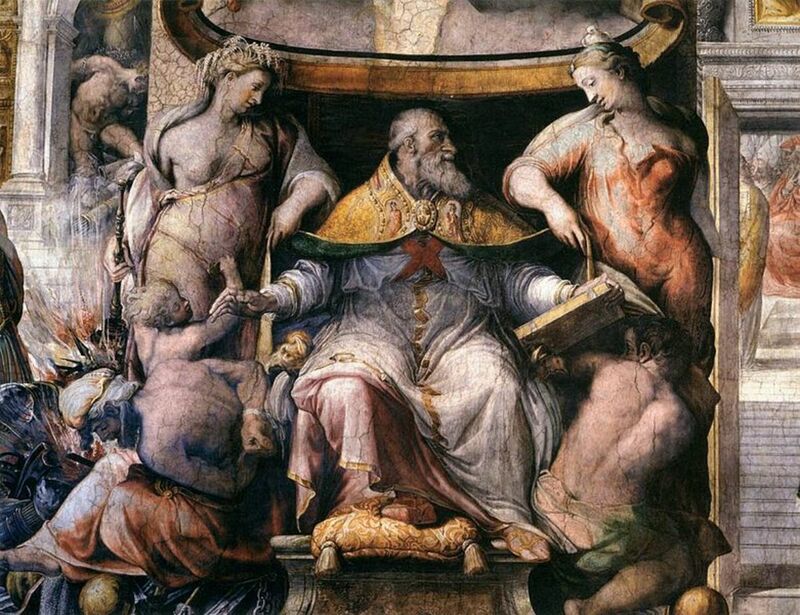 These frescoes were probably initiated around 1552, after that the cardinal Ranuccio had began to live in the palace. Here the subject is the glories of the Farnese family, from the legendaries gestures of Ranuccio Farnese il Vecchio (as an homage to the current inhabitant of the palace) to the policy of Paul III, represented by two episodes: the peace of Nice between Charles V and Francis I, favoured by the Pope, and the victory of Smalcald obtained by Charles V, with the help of the troops leaded by Ottavio Farnese, against the army of the protestant league. The paintings were initiated by Francesco Salviati, one of the most original painters in Rome in the generation after Michelangelo and Raphael, and terminated by the Zuccari (Taddeo and Federico) who had worked to a similar theme in the palace of Caprarola. The decoration was interrupted until 1590, when the new inhabitant of the palace, the cardinal Odoardo, son of the Duke Alessandro, decided to resume the works. However, he did not hire a Roman painter, but he called two artists from Bologna: Annibale Carracci and his brother Agostino. This decision had a significant impact on the evolution of the Roman art, because the Carracci imported a new style overcoming the canon of the Mannerism, as it had been affirmed in Rome by the successors of Michelangelo and Raphael. 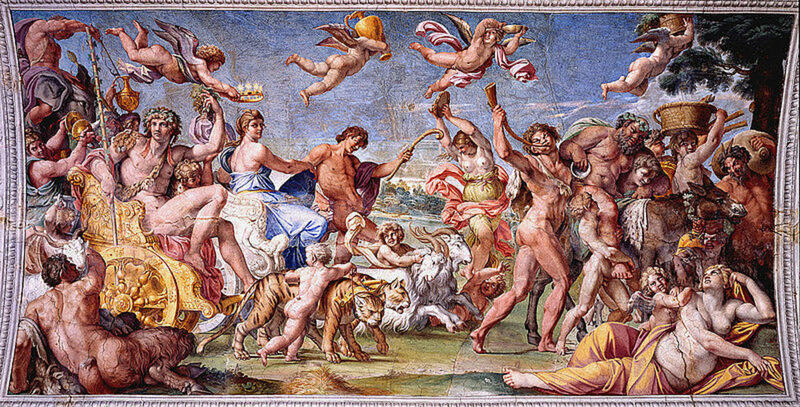 Annibale Carracci arrived to Rome in 1595. He first worked to the decoration of a small room (the so called “camerino”) following the iconographic program established by Fulvio Orsini, preceptor to Odoardo and preserver of the library and the Farnese’s art collections. 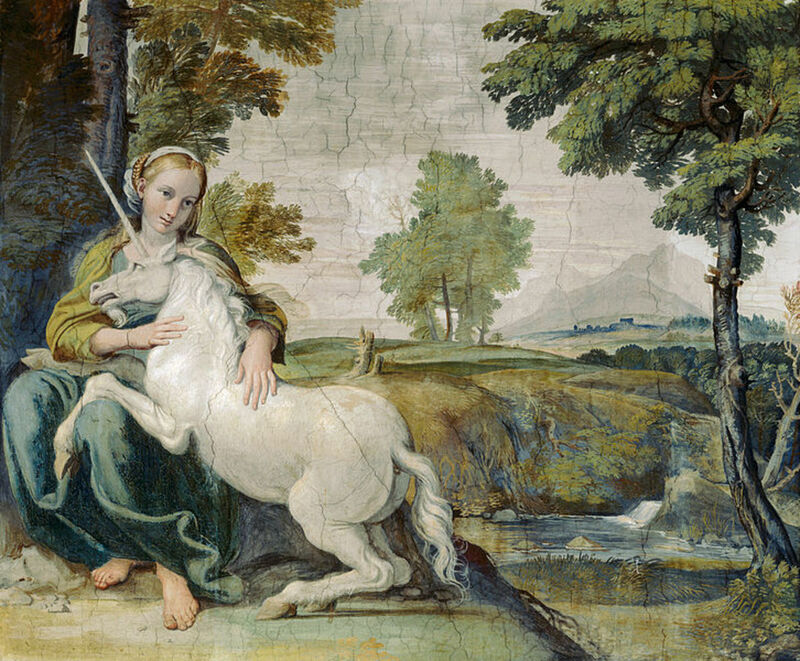 The Orsini’s project was centred on moral allegories from the Hercules gestures. 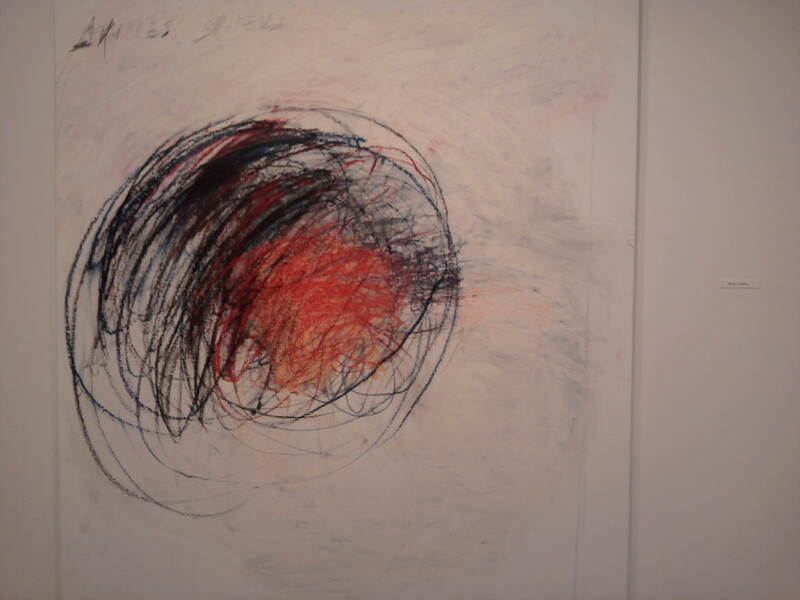 But in the ceiling of the gallery the scenography appears to be completely changed. 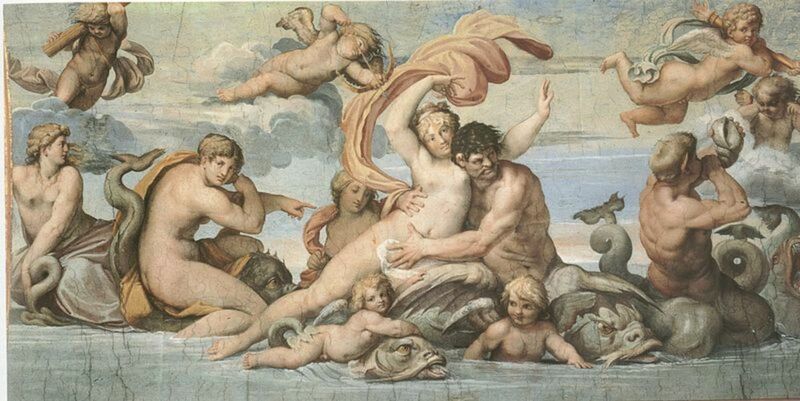 The frescoes, inspired to mythological themes, celebrate the power of the love in a licentious and joyous way, culminating in the central representation of Bacchus and Ariadne. The goddess are represented with a fine irony as unable to resist the temptations of love. Annibale was assisted by his brother Agostino, who left the works and returned to Bologna in 1599, probably because of a quarrel. Annibale and his brother created a wide and unitary cycle that synthesizes several different models, first of all the ceiling of the Sistine chapel, where Michelangelo had created a false architecture framing the frescoed scenes. But the subject could not be more different. Times change. 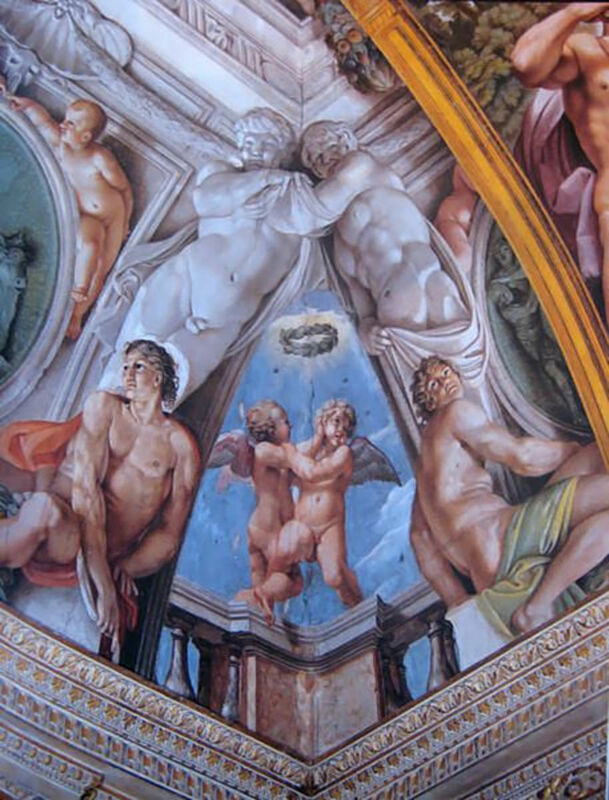 After the Counter-reformation, the eroticism of the scenes on the ceiling could appear completely not consonant to the house of a cardinal and be considered a challenge to a rigorous Pope such as Clemens VIII. This is the reason why the more chaste frescoes on the walls of the gallery have somewhat be seen as an attempt to counterbalance the ceiling. Anyway, they were realized after an interval of a couple of years and mostly by the pupils of Annibale who worked after his cartons (among them Domenichino and Antonio Carracci). Annibale left the palace in 1605, disputing with the cardinal who did not remunerate him properly. 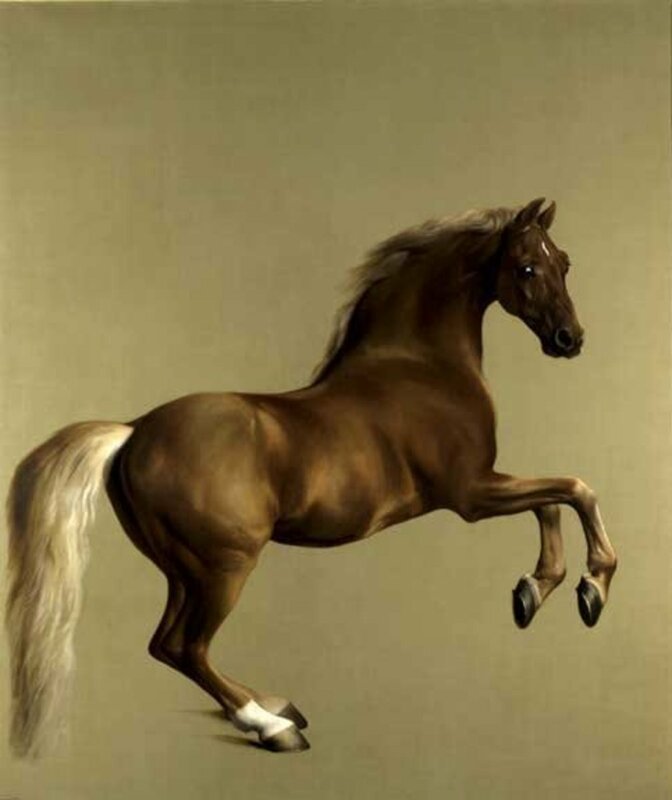 He was then hit by a disease that prevented him to paint until his death in 1609. The palaces of Caprarola and Piacenza are mostly due to the genius of a brilliant architect of the Mannerist period: Jacopo Barozzi da Vignola, simply known as Vignola (1507 – 1573, his hometown is a small city near Modena). He inherited the project of the Caprarola palace from Antonio da Sangallo the Younger and that one of Piacenza from the architect Alessandro Pacione. In both cases, he left the sign of his originality. Caprarola is a village in the north of Rome and in the south of the native territory of the Farnese. It became property of the cardinal Alessandro (the future Paul III) in 1504. Before ascending to the papacy (1534), Alessandro decided to re-built the fortress, located in a spectacular and symbolic position dominating the whole plan where the village is lying. According to Vasari, the project was conferred to Antonio da Sangallo. 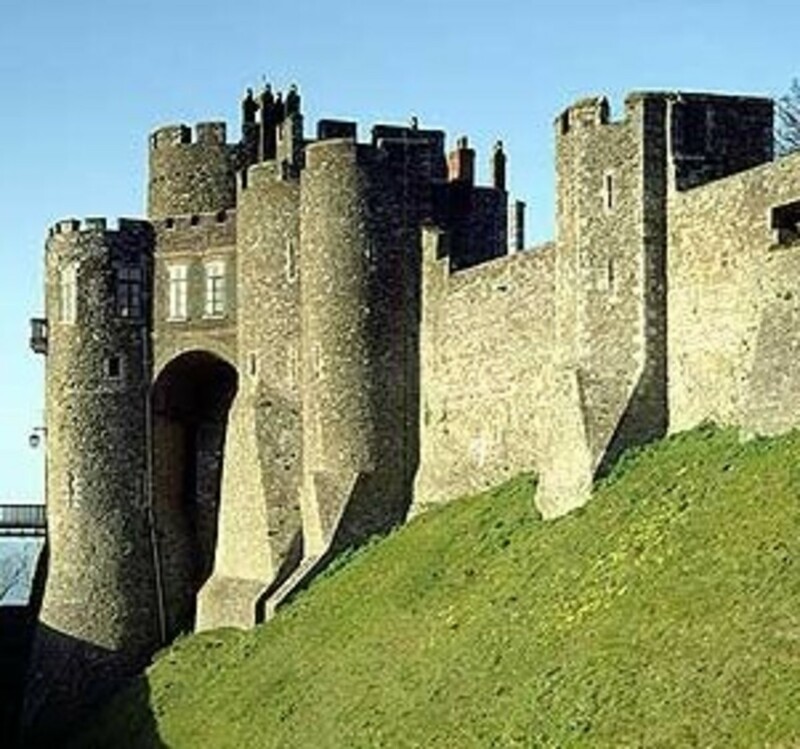 He conceived a pentagonal fortress that remained unfinished. After the institution of the Duchy of Castro, Paul III lost his interest in Caprarola, that was outside the territory of the Duchy. The works were stopped, but twenty years later, the grandson of the Pope, the cardinal Alessandro the Younger had the idea to transform the castle in his country residence. He asked Vignola for a project and Vignola, starting from the pre-existing pentagonal fortress, designed a building that had never been seen in Italy: an edifice featuring a protective castle, a solemn palace and a relaxing villa at the same time. He designed a circular court perfectly inserted into the pentagonal plan of the building and completed by circular arcades running along each floor of the palace. The severe façade is softened by a loggia with five wide arches overlooking the village. The first floor of the palace (the so called “piano nobile”) communicates with the two wide private gardens that enclose the posterior sides. The internal helical staircase is another original element of the palace. It continues inside the palace the circular form of the court, giving a result of harmony and elegance. When Vignola died in 1573 the works were at an advanced stage and it was not needed to call another architect for the completion of the building. The inside decoration of the palace covers the first floor, reserved to the cardinal, and the ground floor, reserved to his familiars. 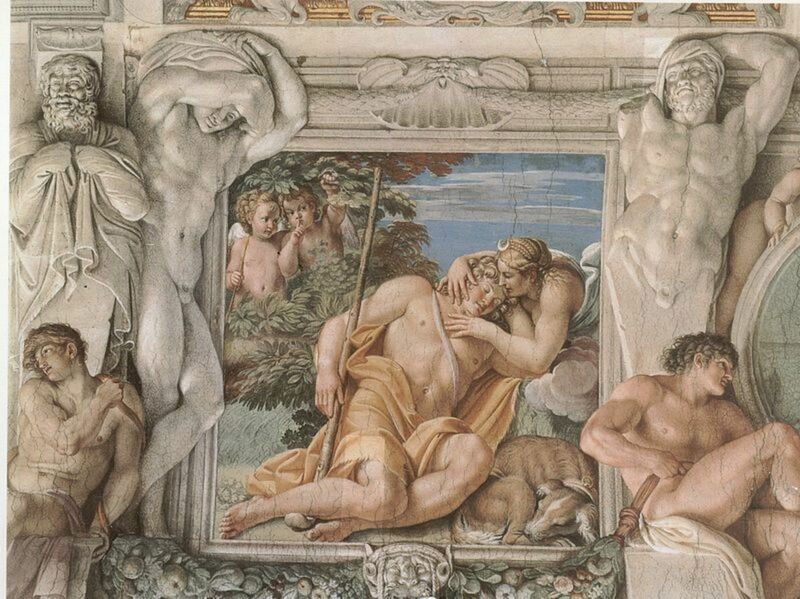 The frescoes were accomplished by Taddeo Zuccari and, after his death in 1566, by his brother Federico. 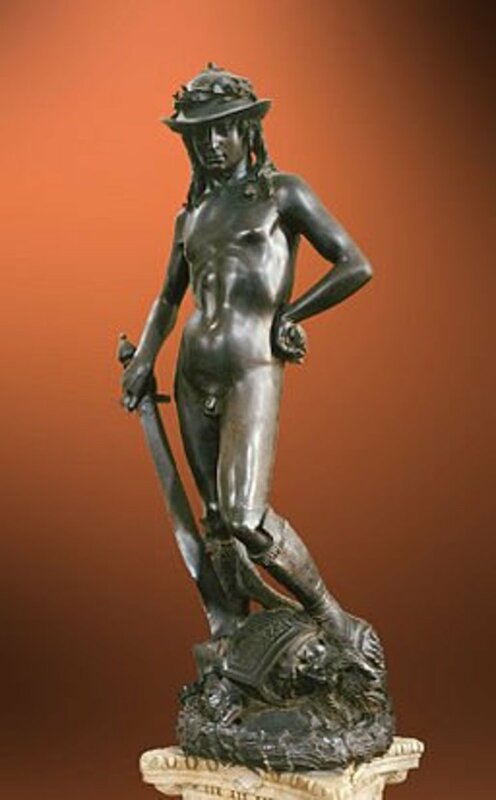 Among the artists active in Rome in the post renaissance period, Taddeo was one of the most fast in the execution and most creative in the composition. The decoration was accomplished in a few years (approximately from 1561 to 1567). It is impressive for the extent and the unity, but it lacks the geniality that Vignola infused in the architecture. The decoration in the reception rooms is destined to the celebration of the family (Fasti Farnesiani), from the most ancient to the actual members. In these frescoes, the most important characters of the time in connection with the family are represented life-size. Vasari reports that he was able to recognize several of them. The private rooms are decorated by mythological or natural themes. In these rooms, to have more intimacy, the walls were covered by leather or a precious fabric. The magnificent and original palace or villa if you prefer is surely son of the pride of the young cardinal Alessandro who wanted it when his family was at the peak of the success. Just think that he built a new road crossing the village straight to the palace and did not hesitate to destroy the buildings on the route, to increase the spectacular view of the castle overlooking the houses of the village, as also his grandfather had done in Rome. The palace was inherited by the cardinal Odoardo, but after his death in 1626 it remained unused and fell into a progressive decline. It belongs to the Italian state since 1940. 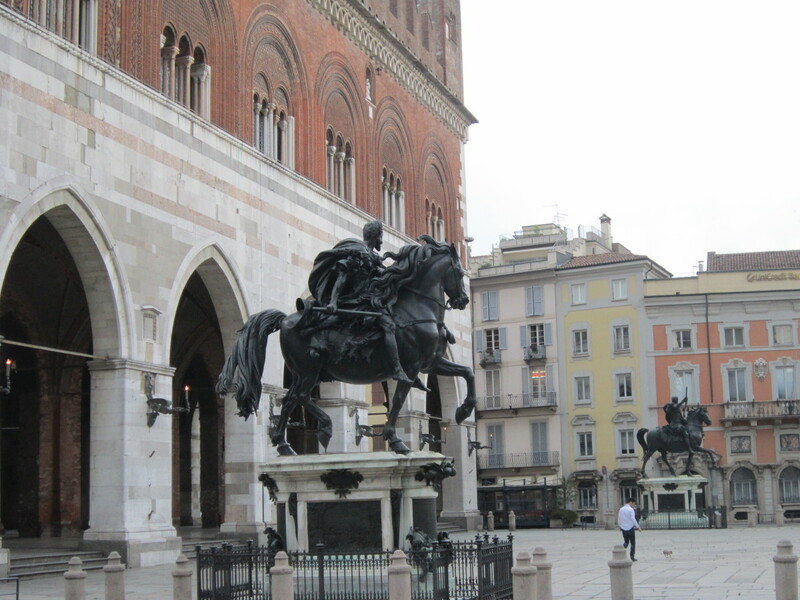 Piacenza was chosen by Margaret as her residence, while her husband, the Duke Ottavio, settled in Parma. In this way, the two cities of the Duchy were both controlled and the proud and determined daughter of Charles V, who liked to be called Madama (Palazzo Madama in Rome takes the name from her) could preserve his autonomy. Margaret arrived to Piacenza in 1557 and probably accommodated in the monastery of San Sisto, where she wanted to be buried. The decision for her residence was to build a new large palace adjacent to the existing citadel. The works began in 1558 upon the project of the architect Alessandro Paciotto. But Paciotto became architect of the court of Spain and abandoned the project. 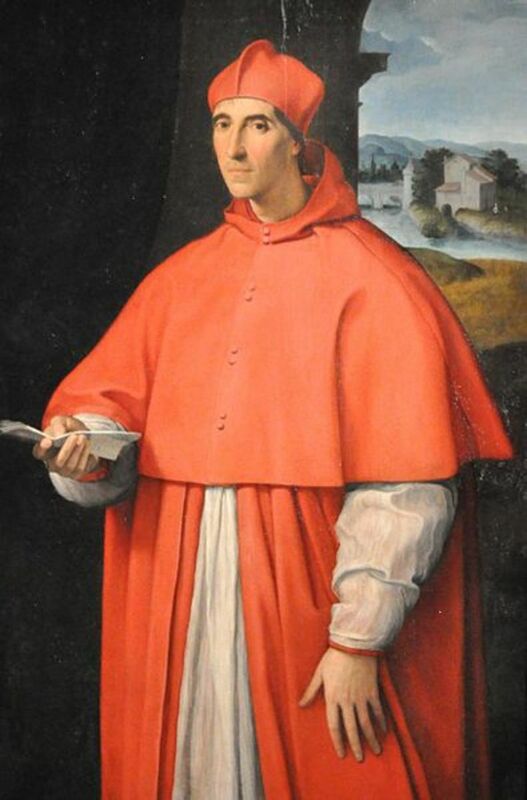 Then the cardinal Alessandro sent Vignola to Piacenza to take in charge the project. Vignola made considerable changes to the project of Pacione and conceived a great palace with a wide court, overlooked by a L-shaped loggia and closed by original round apses in the corners. But the palace was never completed. Margaret who was operating especially for the future of her son Alessandro, had been appointed governor of the Flanders. She left Piacenza in 1559. When she returned, she settled in her possessions in Abruzzo and neglected Piacenza. The existing portion of the palace (about one third of the whole project) was finished by the Duke Alessandro between 1591 and 1601. The Farnese judged that this was sufficient to their needs and used the palace as a secondary seat, less gorgeous but more intimate with respect to the main seat in Parma. In the XVII century they proceeded to the decoration with the inevitable familiar glories. After the extinction of the family, the palace was forgotten by the new owners (the Bourbon) and became a military seat. 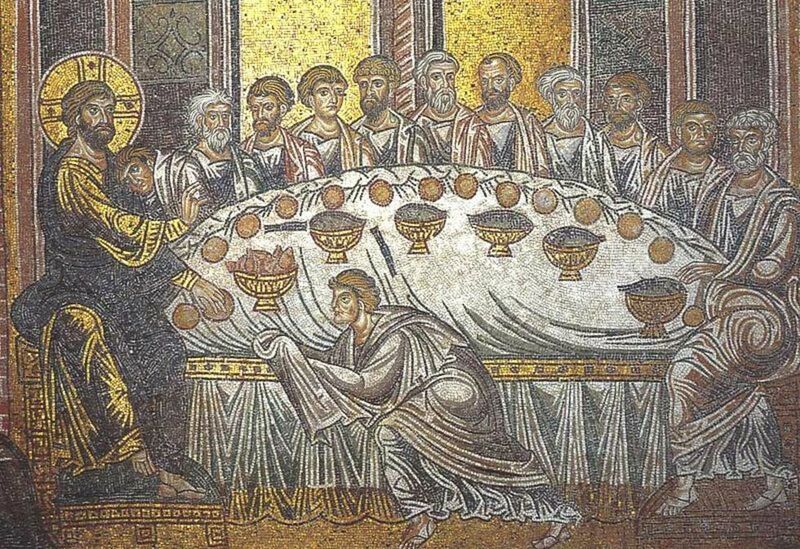 The origins of the family date back to the XIII century. 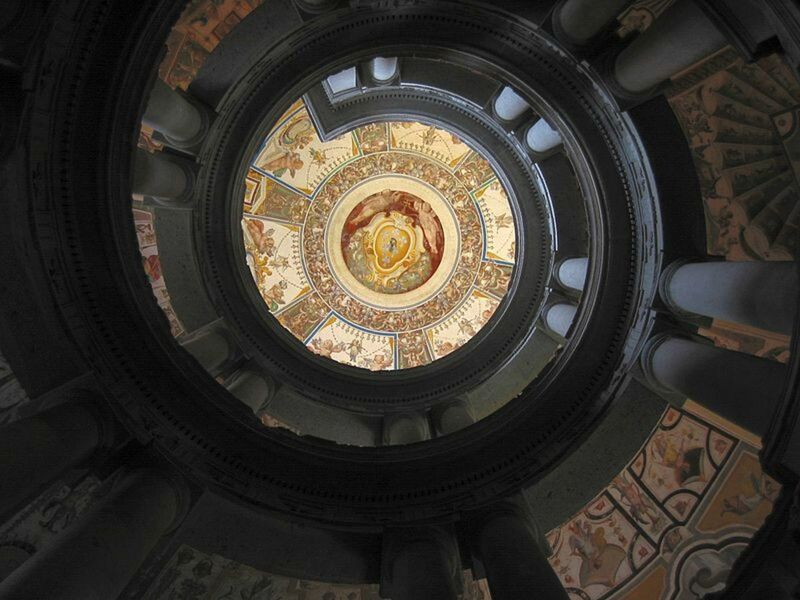 The Farnese belong to the small aristocracy of the central Italy. The model on which they based their fortune is simple and quite consolidated for the times: the first-borns were destined to the command line, the cadets to the ecclesiastical career, the women had to be ready to sacrificed themselves for the success of the males. 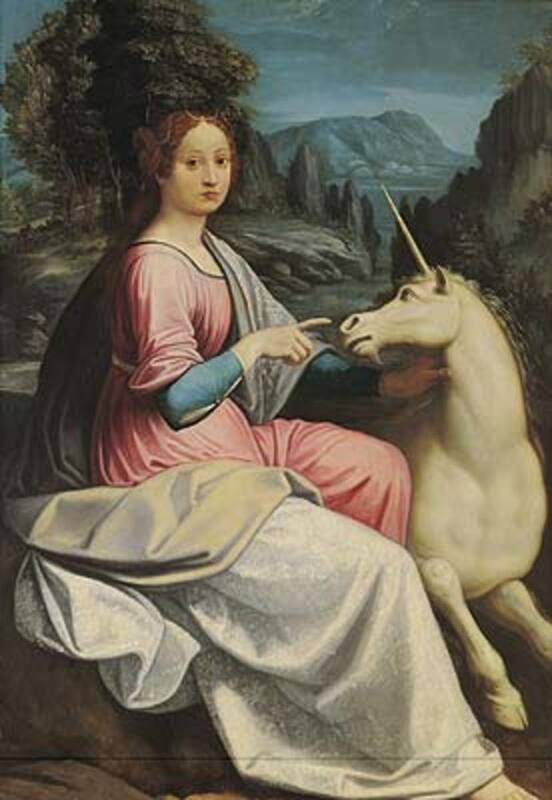 The great beauty of Giulia Farnese (Capodimonte 1475 – Rome 1524) was exploited by her brother Alessandro (one of the many family’s members bearing this name) to boost his career in the church. She was for several years the lover of the Pope Alexander VI (Rodrigo Borgia) who had literally lost the mind for her. 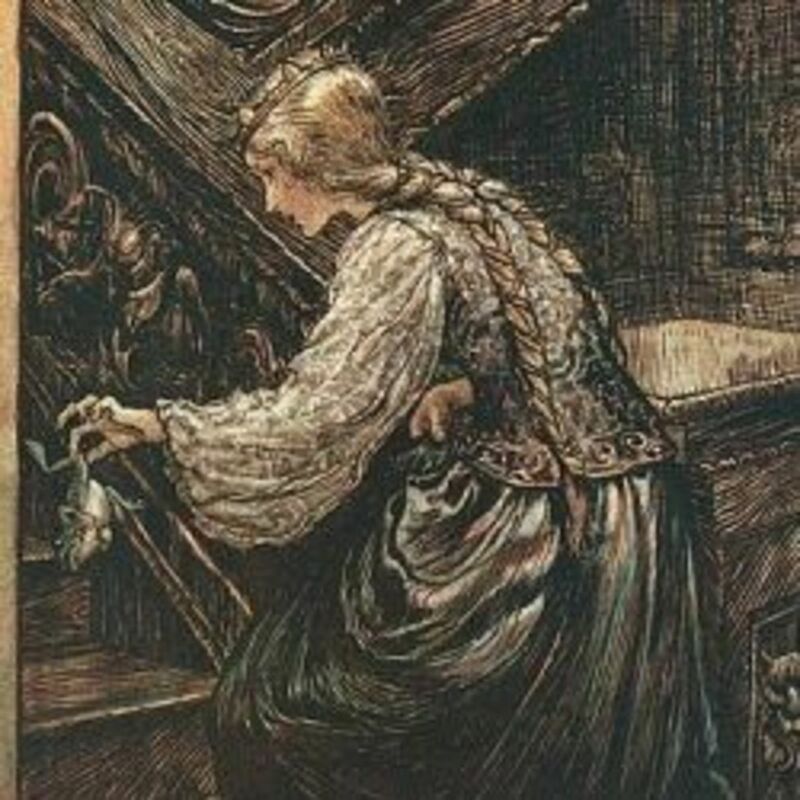 Despite her beauty were legendary and reported by many chronicles of the days, there are not certain portraits of her. Pier Luigi (Rome 1503 – Piacenza 1547), son of Alessandro Senior, was famous for his roughness: he was a courageous and brutal warrior and toiled away in arms. His father assigned him the Duchy of Castro in 1538 and the Duchy of Parma and Piacenza in 1545. Pier Luigi paid dearly this last decision. In fact the Emperor Charles V would have preferred his son-in-law Ottavio (the husband of Margaret of Austria) for this charge. 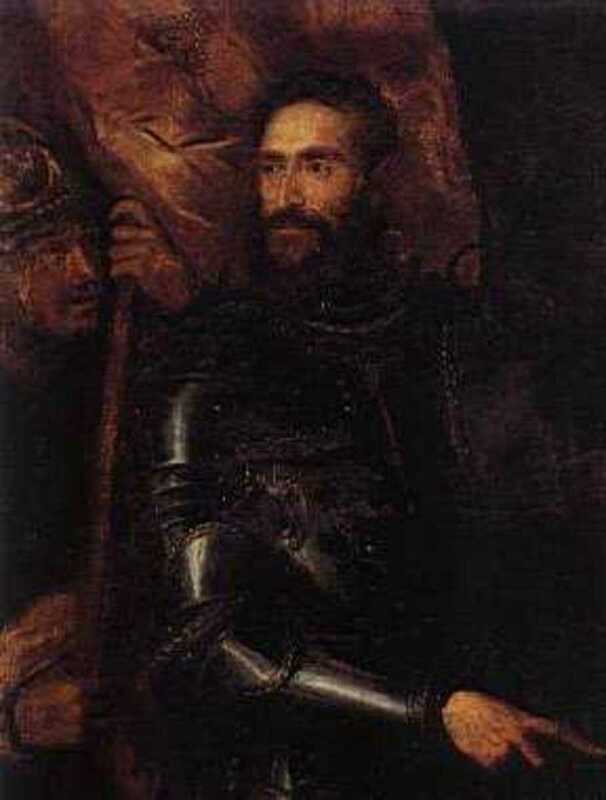 Charles V was the inspirer of the conspiracy that killed Pier Luigi in the citadel of Piacenza, two years later. 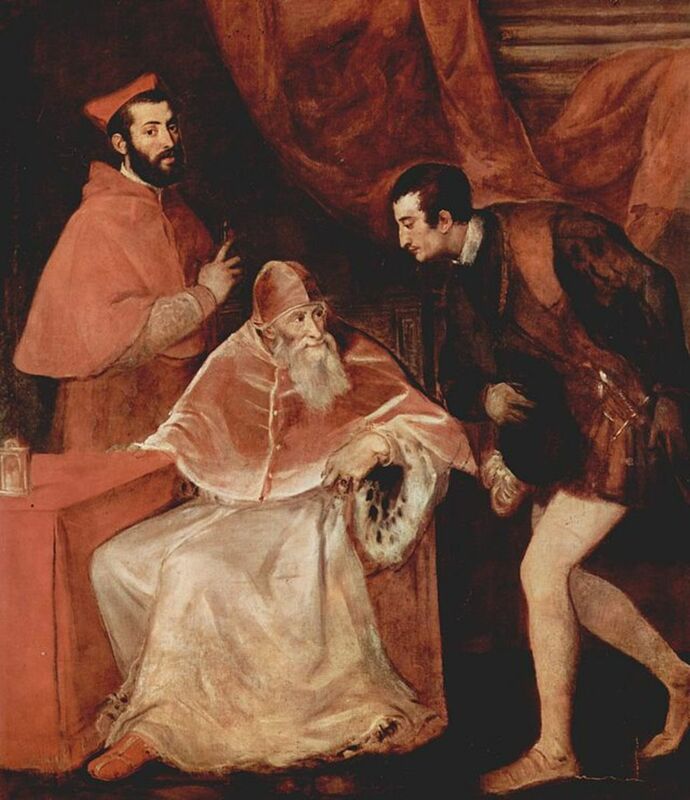 In 1545 the young cardinal Alessandro the Younger called Titian to Rome for a portrait that illustrated the new hierarchy of the family: the old Alessandro Farnese, sitting on his papal bench, shows his heirs to the world: the grandchildren Alessandro, who was explicitly aspiring to become pope in his turn, and Ottavio, destined to the government of the familiar duchies. However, the design was not fully successful: Alessandro did not become pope and the two duchies were too small to keep the family in a relevant role. The son of Ottavio and Margaret of Austria has name Alessando (Rome 1545 – Arras 1592), again. He was educated at the court of Spain and married a granddaughter of the King of Portugal. He distinguished in the battle of Lepanto and then he was protagonist of the wars that Philip II engaged in Europe: in the Flanders, in France and against England. He was governor of the Flanders until his death, when Philip II was going to remove him from this charge, convinced by his court that did not look kindly on the successes of this foreigner. 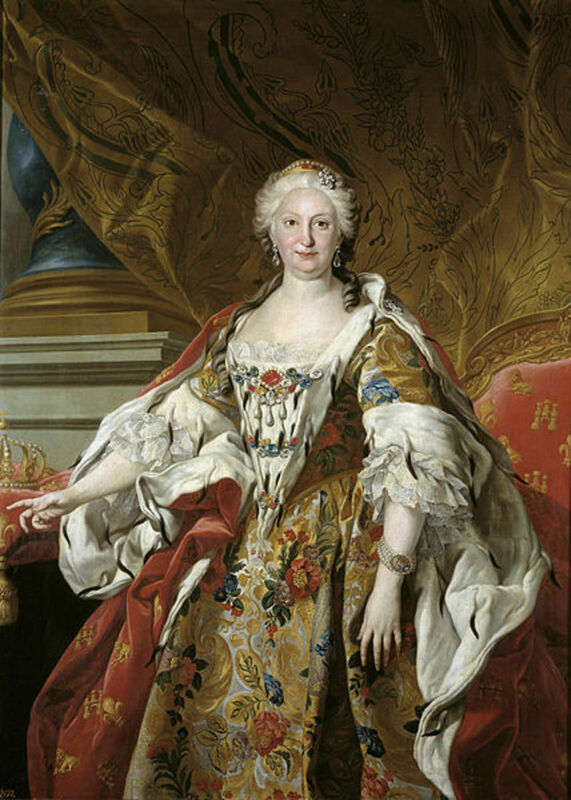 Elisabetta (Parma, 1692 – Aranjuez 1766) was the last member of the family to bear the name Farnese. Partially disfigured by the smallpox, she did not have the legendary beauty of her ancestor Giulia, but the contemporaries describe her as a pleasant woman, featuring a firm character. She married Philip V of Spain, also thanks to the plot of the cardinal Giulio Alberoni, from Piacenza, and influenced heavily his policy. After her death, the duchies of Parma and Piacenza went to Charles of Bourbon and the collections contained in the palaces of the Farnese were transferred to Naples.